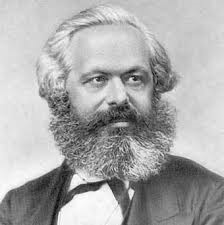 Setting the score straight on Marxist history…. For Andrew: You're entitled to your opinion as a Conservative to oppose Marxism, or Leftism in general - but get your facts straight. In the 19th Century Social Democratic - that is Marxist - parties were at the very forefront of the struggle for free, universal and equal suffrage in Europe. What is more, when the Marxist Left split during the 1914-1919 period Social Democratic Marxists opposed the Great War bloodbath; but also opposed the new 'Communism' as espoused by the Bolsheviks in Russia. Specifically, they resolutely opposed over-centralisation, one party dictatorship, militarisation of labour, the suppression of civil liberties, and the dissolution of the Russian constituent assembly. That said, the Bolsheviks do deserve recognition that they governed under extreme circumstances of war, social break-down and starvation. But the Marxist Social Democrats understood the damage that would be done to the Social Democratic cause by desperate and authoritarian strategies that broke the traditional nexus between socialism, democracy and freedom. For the sake of truth we need to recognise that things are not so 'black and white' as Andrew Bolt would have us believe. AND IN RESPONSE to criticisms from right-wingers at the Herald-Sun website: Make sure you know what you're talking about when you equate Marxism with 'totalitarianism' or argue that 'socialism has been tried and it failed'. Look at Marxists such as Julius Martov and Karl Kautsky, and further to the Left consider the position of Rosa Luxemburg. Look to the Austro-Marxists and their fight for democracy both before and after WWI. Do your research and see how these Marxists responded to Bolshevism - and later on Stalinism. You can't claim any authority unless you do your research and know about the specific circumstances I'm talking about. Marxism is still worth teaching for a number reasons. Firstly there is the historical relevance - including the role of Leninist parties, and the possibility that social and economic breakdown could see a return of Leninist organisation and ideology. But there is also the importance of observing the truth about the plurality of Marxist tendencies and movements - many of which were (and in some cases still are) deeply democratic. Crucially, though, there are Marxist insights that remain pertinent. Insights into alienation and the division of labour; insights into the nature of exploitation and the tendency in capitalism towards monopoly; and consequently the importance of movements for economic democracy, full personal development and cultural participation; and movements for negotiated mutual disarmament and peace. There are still many reasons to teach Marxism today; though in the context of a pluralist curriculum which pays equal attention to liberalism and other critical traditions. In response to a fellow Leftist: Was Social Democracy completely and thoroughly compromised by the First World War? What alternative is there to democracy? What alternative to people being free to make their own mistakes - and hence learn from them? The point is also that in a real democracy the people never 'cede power to government'. A robust democracy involves a strong and participatory public sphere; a mobilised civil society. Everything from political parties and trade unions to social movements. And yet the Herald-Sun regularly editorialises in favour of a 'heavy hand' against social movements. A nation which cannot tolerate at least low intensity civil disobedience is on the way to forsaking liberal democracy. Liberal rights are critical... I support Andrew Bolt's liberal rights funnily enough. But those liberal rights are hollowed out when in practice they come to apply overwhelmingly to the rights of 'the establishment.' And where educators who want to impart a critical disposition above all - are portrayed as 'trouble-makers' - or dismissed as Marxists. And because of pre-existing prejudices the voices of the establishment feel they don't have to include those voices except at the outer periphery. Well said Tristan. How interesting that the Conservatives suddenly feel a need at this point in time to strike out at the allegedly "dead theories of Marx". I wonder what has provoked this fear of the spectre of communism? Could it be the unresolved (and unresolvable) contradictions of capitalism that have the conservatives scared that people are going to start loooking for explanations for why the world doesn't work for them? I find it oddly comforting that socialism still provokes such rancor and ire among the liberals and conservatives- it's the best evidence yet that we are still potentially on the long-term winning side of history. Did anyone see ABC's Big Ideas interview of Jacqueline Rose last year re: her upcoming book 'Women in Dark Times'? It compares the struggle of Rosa Luxemburg to Marilyn Monroe as a dialectical analysis of Capitalism's intrinsic intersectional link to the dominance of patriarchal privilege. Andrew Bolt has the gall to effectively call for censorship or Marxist ideas? The hypocracy knows no bounds. He might as well be a Stalinist on this question. Indeed, the right's reinvigorated paranoia about the growing support for Social Democratic ideas is very telling indeed.